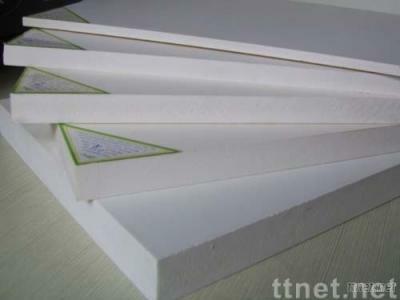 Unique characteristics Rigid PVC foam sheet possesses remarkable characteristics of light-weight, flame retarded strong, water repellant and chemical resistance. It is a perfect substitution of timber but will not warp, swell or decay in wet area. Typical applications 1. Advertising - signs, displays, pop-up displays, exhibition boards, etc. 2. Building - Models. partitions, wall cladding, indoor or outdoor decoration, air conditioning ducts, windows and false ceilings, etc. 3. other Industry - Wall claddings, control cabinets and panels, structures for corrosive environments, ducts, etc. Specifications 1.Thickness (mm): 1 ~ 25 2.Density (g/cm³):0.4~0.8 3.Standard size(mm) 2440x1220 4.Color: white and red etc. Other specifications and colors are available on request.